With the release of Mac OS X 10.7 Lion in July of last year, Apple was definitely moving towards dropping the word ‘Mac’ from the 'Mac OS X', which has been used as a name for Macintosh OS for more than 10 years. Although Apple still used the naming scheme 'Mac OS X' in press releases, it called the new operating system 'OS X Lion' both on the product page of the Mac App Store and the main product webpage. 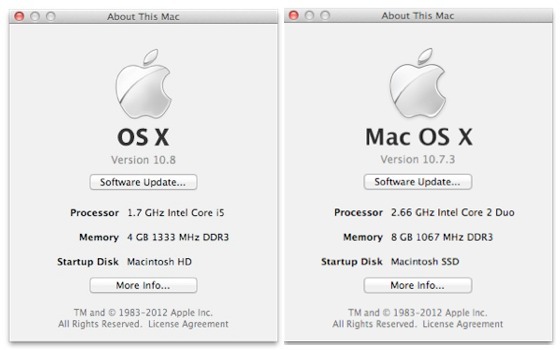 The Verge notes that Apple has finished the transition to the name 'OS X' across both the press release announcing the OS X Mountain Lion developer preview and product page for this OS. "We confirmed the official name change with Apple, who told us that the preferred full name is ‘OS X Mountain Lion’”. The Macintosh brand is still used, although Apple appears to be focusing this term on hardware. Lion was the beginning of unification between iOS and Mac OS. iOS is based on Mac OS X and two operating system are very similar at a fundamental level. Dropping 'Mac' from the name of Apple OS emphasizes the subtle distinction between software and hardware. Apple is expected to launch OS X Mountain Lion later this year.